We are counted as the reputed manufacturer and supplier of supreme quality Pizza Oven. The offered range of products has fetched high demands for their low power consumption and longer service life. Committed to the satisfaction of our clients at prime, we assure an optimum range of products for our clients. 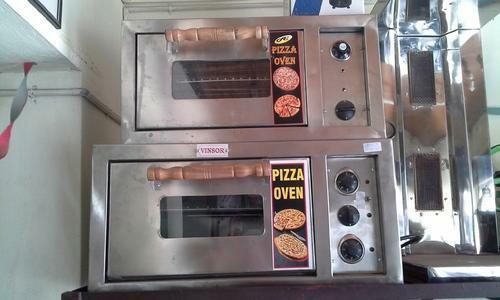 We are engaged in the manufacturing and supplying of high quality Pizza Oven. Offered ovens are manufactured in compliance with industry laid parameters in our equipped infrastructure. We use quality grade stainless steel and latest technology in the manufacturing of these ovens. Known for their spring loaded door, simple functionality, silent operation and high performance, these ovens are widely demanded by our clients.